At Edgewater, our work speaks for itself. We are a family operation. You deal directly with Bill Sr., Mike, Dan, Stacy and Michelle Edgington. 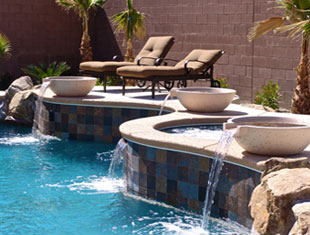 They will personally supervise every phase of the construction process of your pools, from design to all construction phases in the field, assuring you the finished product you expect from a custom pool builder. Edgewater is family owned and operated. Every phase of the design, sale, and construction will be supervised by the owners of the company. 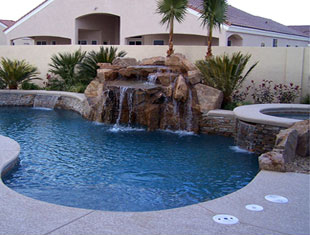 Edgewater uses the very finest Pool & Spa equipment in the industry, assuring you years of trouble free operation. Easy financing. Edgewater offers a variety of finance programs that can make your dream of owning a pool a reality.